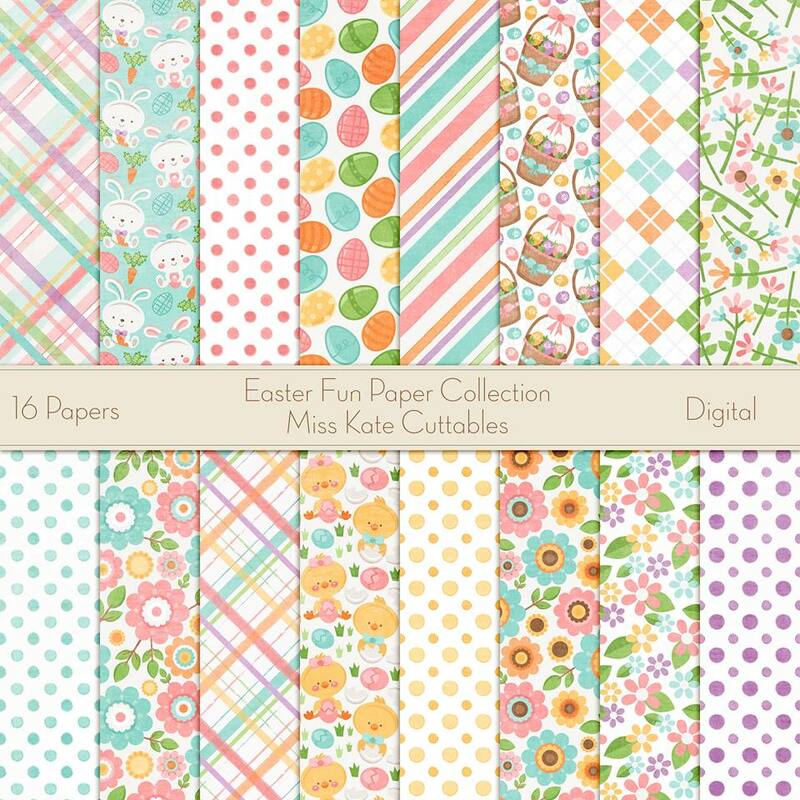 Spring has sprung at Miss Kate Cuttables. The flowers are in bloom and the days are longer. are all signs that Easter is upon us. 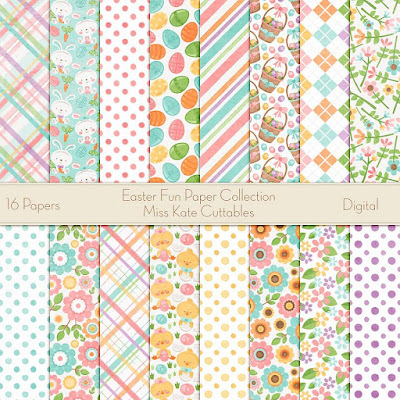 Miss Kate Cuttables has a new Easter line of paper packs and die cuts. These newly designed Easter papers and die cuts includes all things Easter. 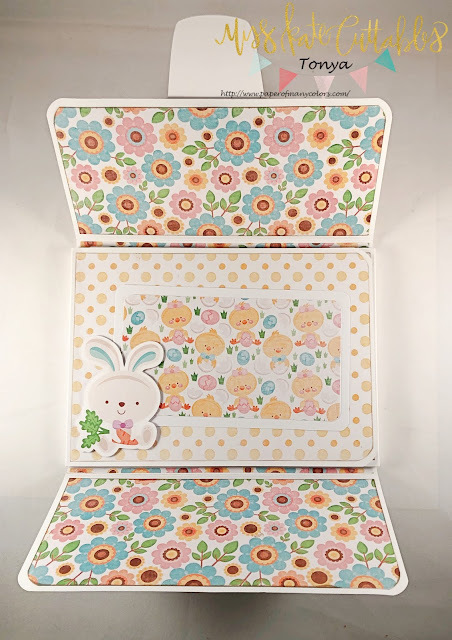 Featuring baskets, flowers, sweet little chicks and bunnies, all in bright and airy colors. The Miss Kate Cuttables design team will showcase this paper pack and these die cuts for 3 days. Easter Fun Paper Collection HERE. 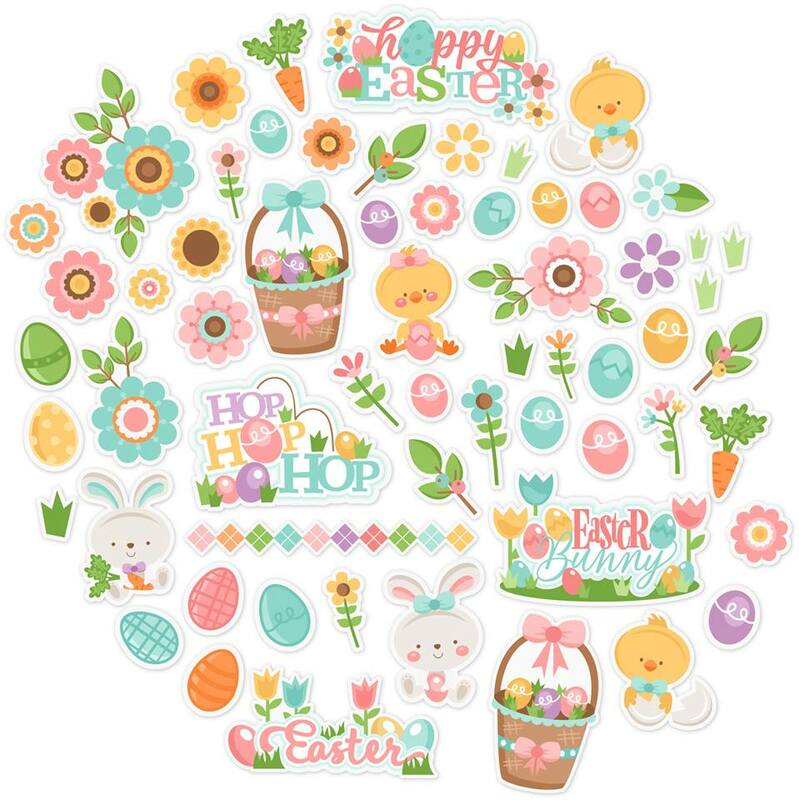 Easter Fun Die Pack HERE. Miss Kate has generously offered each design team member a pack of the Easter Fun Paper Collection and matching Easter Fun Die Cuts to giveaway on their blogs. 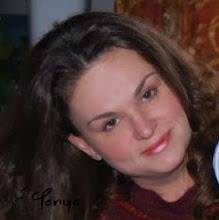 1) Follow the Miss Kate Cuttables blog and comment on this post. 2) Follow and comment on each design team members blogs. My first project with the paper and die pack is a mini album. I used a project sheet from Graphic 45. I have been wanting to make this album for a while. And this paper pack/die cut set was perfect for it. My next creations are layouts. I have three children who have lifebooks that we like to add to as the years go by. The inspiration for my layout is Sketch 5 from this TSR challenge. 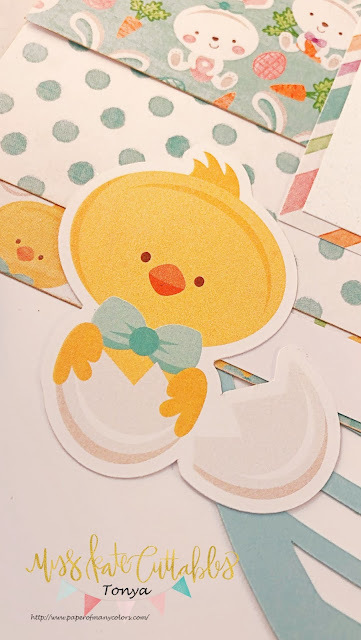 The Easter egg was used instead of a circle to help ground the layout and establish the theme. The egg is perfect peeking out from all the great papers. The flag is a piece from a theme park svgs file of Miss Kate's. I didn't use a traditional title. I took a word form the Easter Word Art File. When it was adhered, I curved it slightly to fit the egg shape. Ice Stickles were added to give the whole layout a bit of something. The inspiration for this layout is from Sketch Savvy #153. 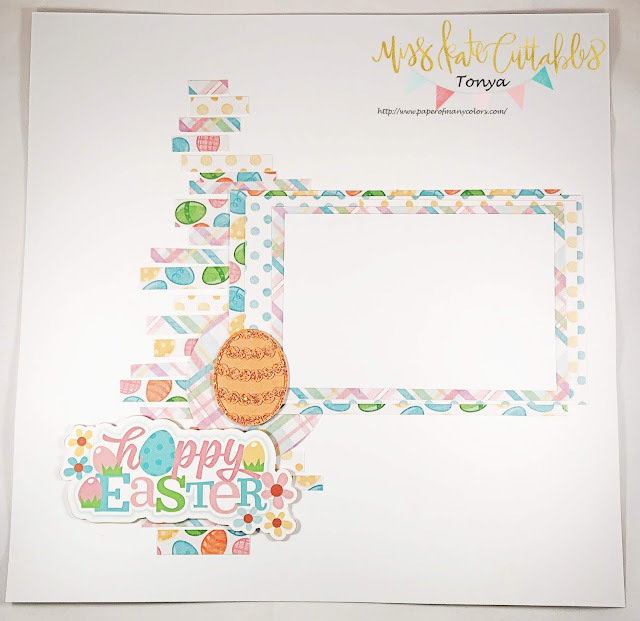 I added a title from the die cut pack, adhered with foam tape, and an Easter egg from Miss Kate's Set of 4 Easter eggs. For this layout, I use sketch 1 from Creative Memories. 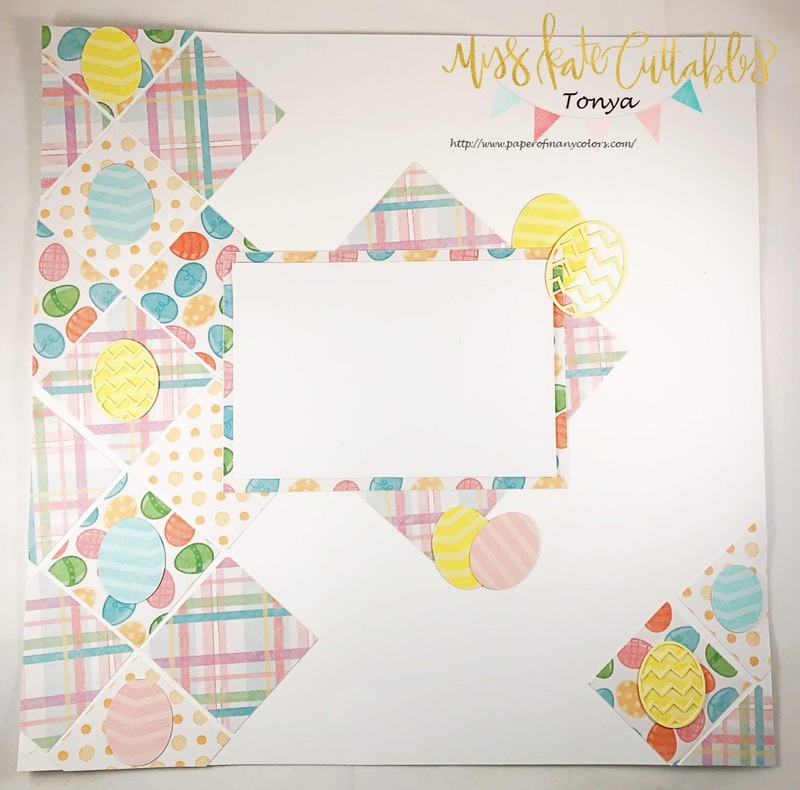 I cut all the patterned paper with my Silhouette Cameo and Miss Kate's blade. I added Easter eggs, in place of the flowers from the sketch. 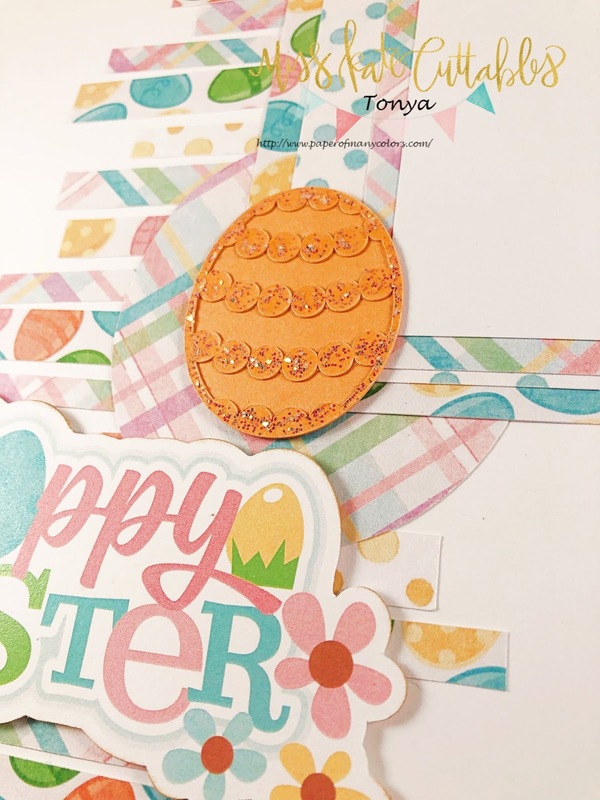 Some of them I stamped with a Peachy Keen background stamp and Unicorn Pigment Ink. Please visit ALL of our blogs from all 3 release day posts. 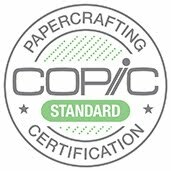 Be sure to leave comments for your chance to win a paper pack/die cut set. Then visit Miss Kate Cuttables blog or Miss Kate Cuttables on Amazon to get you Easter Fun collections. Beautiful projects! !I love the adorable layout! 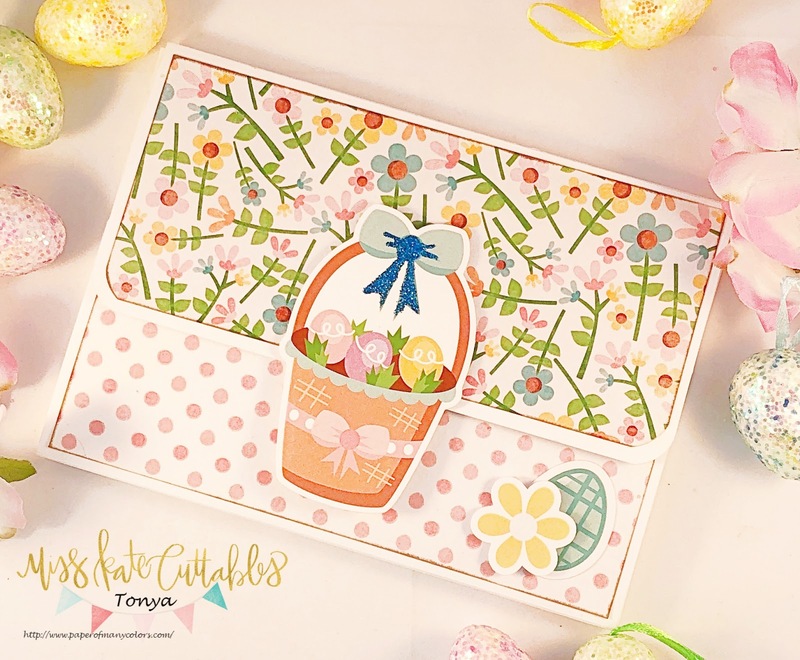 Great mini album design and fabulous Easter layouts. These are all so wonderful and I love the attention to detail you have done on those eggs! Beautiful girl! I love it all! Just wow! 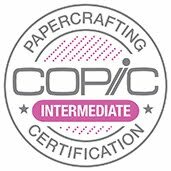 I am heading to a weekend crop and I see some scraplifting in my future! 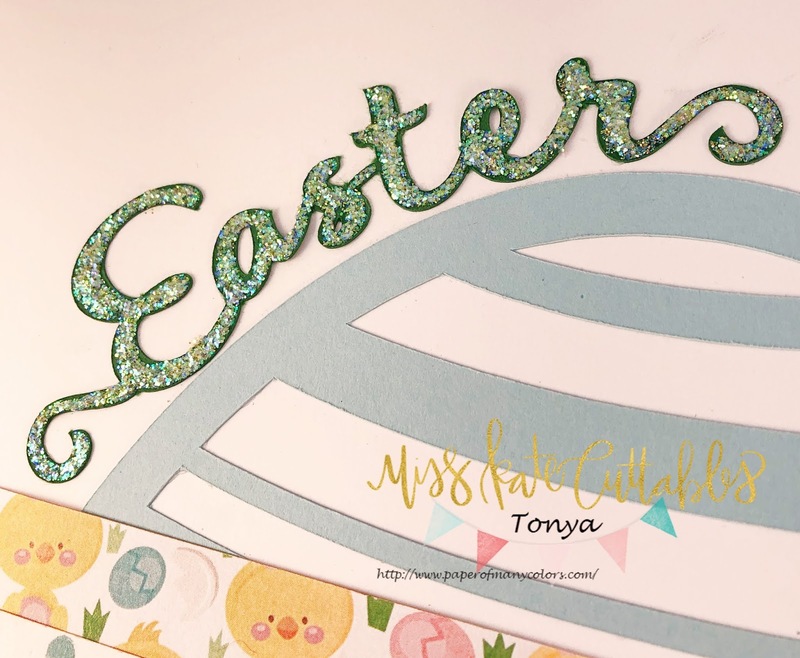 I love the way you substituted Easter designs for the elements! These pages are wonderful! Love your layouts!! May I scraplift? Oh my goodness! 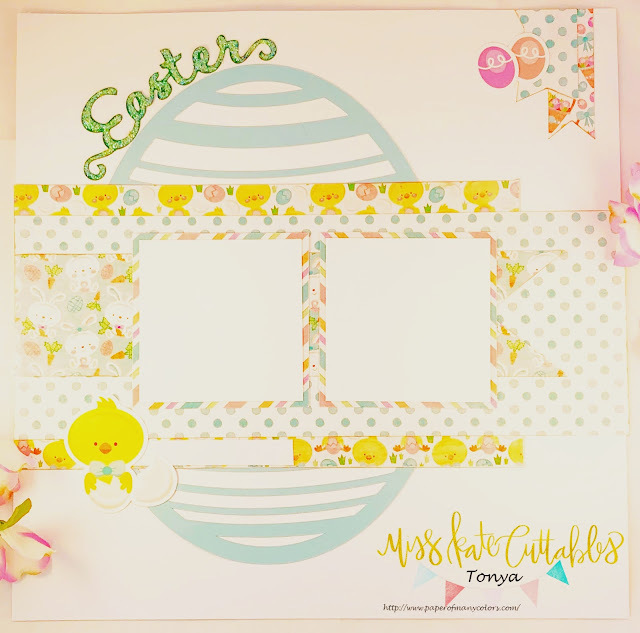 The fun fold card / album is so cute, but I have to say... scrapbooking is my first love, and I adore your layouts!! Wow - that album is so cool! Your layouts are so cute! Love your work and the video is very helpful!